I first met Mark Pilkington at the ASSAP Seriously Strange conference last year, see: http://hpanwo-tv.blogspot.co.uk/2011/09/assap-seriously-strange-conference.html He was one of the speakers and was also publicizing his new book Mirage Men- a Journey in Disinformation, Paranoia and UFO's. I intended to buy a copy then and review it, but other duties got in the way; but better late than never! It's been a while since I've done a detailed book review and it's good to get back into that field. Mark Pilkington is a researcher, writer and publisher on many subjects, but he specializes in fringe beliefs and culture. His work has been published in the Fortean Times, Time Out and The Frankfurt School Journal... Sorry! I meant The Guardian. Mirage Men is his second book and comes out of Constable instead of his own imprint Strange Attractor Press, see link above. I feel rather envious of the author actually because the story is built around his visit to the International UFO Congress in Laughlin, Nevada USA; this is one conference I've wanted to attend more than any other. The book has the feel of a road trip story and throughout he is accompanied by his friend and colleague John Lundberg, and a few HPANWO-readers may be familiar with that name, see: http://hpanwo.blogspot.co.uk/2008/05/plankers.html . This book is all about what the author calls "UFOria", which is a homophone of "euphoria" and is his term for an enthusiastic interest in UFO's. People who suffer from UFOria are called by another witticism: "saucerers". Pilkington is a stylish and skilled writer and his prose is full of neat humour that echoes his journalistic career. He is well-travelled and although he is English he writes in a transatlantic language; he uses words like "freeway" and he calls Pearl Harbour "Pearl Harbor" and says "Colorado River" instead of River Colorado. 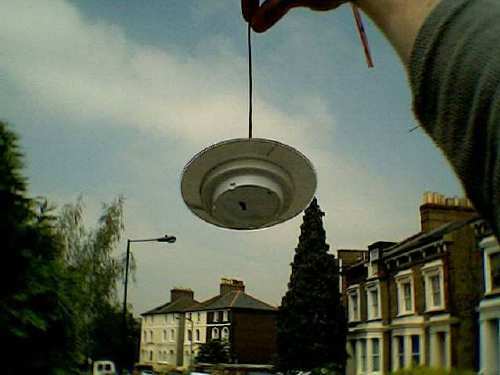 Pilkington used to be a UFO-believer himself to the point where he describes himself as "obsessed". Since then he has become far more sceptical, and Skeptical, of the whole subject and Mirage Men is a last-ditch attempt to clear up the truth about the subject once and for all. Pilkington begins by relating his own UFO close encounter in 1995 while he was touring Yosemite National Park. He saw a silvery metallic reflective sphere about eight feet across and it passed no less than fifty feet above his head while he was changing a wheel on his car, so this no brief flash of light glimpsed through the trees. What's more there were two other people in the car who witnessed the phenomenon too. 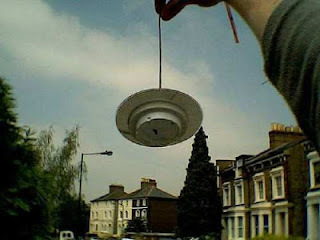 At the end of the book he has another sighting of a spider-like object hanging in the sky; this might make the reader wonder how he reconciles these experiences with the rest of the story when he explains his theory; you see Pilkington believes that UFO's are actually an elaborate hoax perpetrated on the population by the Iluminati-occupied governments. This very Skeptical position may well have been instilled by his activities as a "planker", a human crop circle-maker. "Yes, they're all made by people. I'd have thought that was bleeding obvious!" he rants. John Lundberg is of course the leader of Circlemakers, Britain's, and therefore the world's, top planker team, see: http://www.circlemakers.org/ While they were at Congress they had a good laugh at the crop circle speakers, saying "I made that" whenever the speaker mentioned a specific formation. I don't think it's "bleeding obvious" at all that these objects are all man-made. Of course I have to concede that some of them, probably the majority, are made by people like Lundberg and Pilkington, but not all of them are by far. (Interestingly a couple of months ago when this formation appeared, in my view the finest of the year: http://www.cropcircleconnector.com/2012/hackpenhill3/hackpenhill2012c.html , a planker friend of mine contacted me on Facebook and said: "Ben, do you know who did that one? I've got no idea!") Nevertheless Pilkington and Lundberg were made welcome at Congress and soon came across a man who would become pivotal in their research, Richard Doty. Ever since the modern UFO era began in 1947, the subject has had what the author describes as "human fingerprints all over it". There's no doubt that the government have taken a keen interest in the subject, but out of the intricate "twisted pretzel" that the author compares it to, he thinks he has found a narrative. This is a very bold assertion; does the evidence match up to it? The tale is a complex one and includes such slippery figures as Fred Crisman, who Pilkington enters without introducing him. The frantic couple of weeks in the summer of 1947 which began the UFO age started with the Maury Island Incident in which a fishing boat was attacked by a squadron of doughnut-shaped objects. The objects showered the boat with globules of what resembled molten metal, injuring the people on board and killing their dog. Almost immediately strange people began showing up at the skipper's home. These sound to me like Men-in-Black. Pilkington assumes that these are government agents although I and John Keel, to whom the book is dedicated, have other ideas about that. Men-in-Black did not exist in popular culture at that time although this trope can be found all over the world going back throughout history. In the South African Zulu culture they're called "The Beasts of the Terrible Blanket" and appear differently to match the time period and culture they appear in, but according to Keel they are a universal natural archetype. One must also ask the question: if UFO's are simply a trick by government intelligence agencies then how come they already had a contingency plan in place before the era started? The MiB arrived at Maury Island the very next day after the encounter. The author gives us a speculative analysis of Byzantine complexity involving possible Soviet aircraft or agents, the cover-up of a radioactive leak, an attempt to defraud a science-fiction writer. In the end there is no way to know what really happened at Maury Island, but that doesn't stop Pilkington wondering aloud; perhaps he hopes that if he guesses enough times he'll hit the mark anyway by chance. This is something he does on many occasions throughout the book. What he avoids religiously is what I consider a more parsimonious and logical explanation: The boat was actually attacked by extraterrestrial artefacts of some kind; this was followed by the classic aftershocks of MiB encounters. The government responded so quickly because they did have a contingency plan in place which they set up after previous UFO incidents. Yes, the UFO era did not begin in 1947; this was simply when the subject reached the threshold mass that allowed it to break out into popular culture, but the government already knew about the extraterrestrial presence many many years before, see: http://hpanwo.blogspot.co.uk/2012/04/pre-roswell-roswells.html Of course there's no way to prove this, but then again Pilkington has no way to prove what he asserts either. The world of government intelligence operations is a virtually perfect universal smokescreen. What I don't quite understand is how the author sees his own speculative chronicle as making more sense than any other. As with Roswell; Pilkington claims that the original story was released deliberately; he can't imagine that the original Flying Disk press release could have been released accidentally. He claims that the 509th press officer, Walter Haut, was acting on orders from his own Commanding Officer, Blanchard, to fool the public into thinking a crashed UFO had been salvaged when in fact it hadn't. But mistakes can happen, especially in that rather chaotic fortnight following the Kenneth Arnold sighting, the event which coined the phrase "Flying Saucer". Since then the US Government has changed its story about what really happened at Roswell in July 1947 so many times that if it were a witness in court the judge would send it down for contempt. First it was a weather balloon... no a V2 rocket... no a parachute test.... no a spy balloon... no dead monkeys; what will the next incarnation of the cover-story be? (See: http://hpanwo.blogspot.co.uk/2007/12/roswell-no-aliens-just-sound-waves.html) According to the author the Roswell story went silent for thirty years and exploded out of obscurity only when Stanton Friedman discovered Jesse Marcel in 1977, which is when the modern Roswell era began. (This I dispute, but that's a long story. 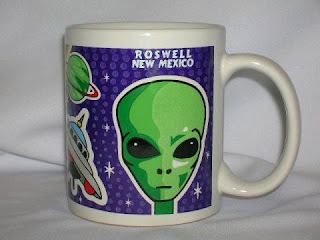 An article in Dot Connector magazine shows that there was a presence for Roswell in the intervening years). What I find curious is that the author sees his own narrative as being more sensible than anybody else's when it is based on what, by his own admission, is a world of paranoia and disinformation; in fact this is the subtitle of the book. I expect that if questioned on this subject he will play the Skeptic Joker: Occam's Razor. This is a problem-solving method which directs you to always consider the most likely explanation first. So, for example, if your radio stops working the most likely cause is that the batteries have simply gone flat; so change the batteries first before opening it up and fiddling with its wires. But Occam's Razor only works within a sphere of understanding that already exists; we already know how a radio works, that's why we can apply Occam's Razor to it. In the case of both UFO's themselves and government intelligence operations (probably even more so the latter!) we have no clue in hell what is going on within them, so how can we assert any kind of narrative related to them as being more simple than any other? The author is man enough to admit that some UFO's could be real; there are many others who are not. Indeed, as I said, he relates two very significant sightings of his own in the story, so then why is he so certain that any interest the government shows in the subject is simply disinformation? “I don’t understand.” stuttered Glyn. “I suppose that would be… a good thing.” Glyn felt he had conceded a point of some kind, although he didn’t know what. Smith leaned forward in encouragement. “It would be an excellent thing! It would be disaster for your secrecy protocols if he’d gone home and said: ‘I just saw an unknown warplane on a test flight!’, but if he says: ‘I just saw a spacecraft flown by aliens’ then your secrecy protocols are safe and sound. Everybody who investigates will be looking for entirely the wrong thing. It’s perfect! Now, once you realize that, why not go a step further and plant fake evidence relating to UFO phenomena inside the believing communities to strengthen the protective myth? This is what we do regularly and we’ve done it in Belswill this week.” He shrugged happily. “We placed a mock-up of a flying saucer at the scene of the Belswill operation so that any curious peeping Tom’s who succeeded in breaking through the cordon and finding what they were looking for would end up looking at something false, a piece of stagecraft. People like you, Glyn.” He pointed. For Pilkington this is the key explanation for both Roswell and all other examples of government involvement in UFO's. To be honest there could be some truth behind that, at least in a few cases. If the photo above is a Stealth fighter then somebody has attached 4 bright lights to its underbelly, not really very stealthy. But they might have done this deliberately to make the aircraft look otherworldly on purpose. This is a neat little idea and whoever thought of it must be having a good chuckle with their mates over how they've been duping wide-eyed "civilians", but it is one that could backfire in any number of different ways. 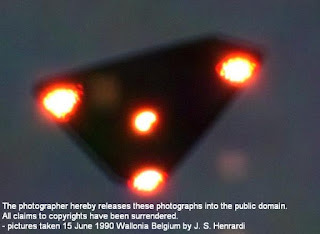 One very important case that Pilkington does not address in the book is that of Bob Lazar, but if I can apply his model to it: Bob Lazar must be either lying or else relating false information fed to him; and the intelligence services are encouraging him to do so because as long as people are staring slack-jawed at Area 51 expecting to see "sport-model" UFO's and alien reproduction vehicles they won't see the test flights of Aurora or any of the US Air Force's other experimental next generation spy planes and fighter jets. But it's a risky gambit to draw people's attention towards a place with the ultimate aim of turning their attention away, and the hoaxers must be very confident of their abilities to fool them. It would only take one or two people among the millions of "credulous UFOria-sufferers" to work out what was going on for all those well-arranged cards to fall to the table. Today Area 51 is a popular tourist destination and Nevada's Governor has even renamed the nearby road "The Extraterrestrial Highway". You can catch a tour bus at Las Vegas that will take you to the Groom Lake Road and you can have your photo taken beside the warning signs at the base's boundary. Included on the tour is a trip up to Rachel for a beer at the Little A'le'Inn where you can by all the merchandise available in the Roswell tourist shops. Towards the end of the book Pilkington wonders who in government is "keeping the UFO flame burning"; what tricks are our national leaders going to use next involving the "UFO myth"? As far as I can see, after the debacle of their Area 51 scam I'd assume they'd drop the entire UFO scenario in the "trash can", to use the author's terminology, and try out something entirely different. So why do the saucers keep flying? 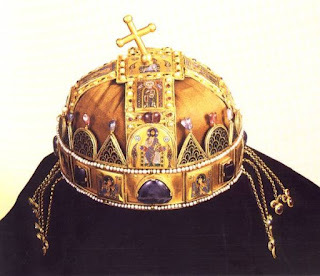 Pilkington also talks briefly about the Hungarian Crown Jewels. These famous, beautiful and priceless works of art were smuggled out of Hungary by the Americans near the end of World War II to prevent them falling into the hands of the either the Nazis or the Soviets. They were stored in a bank vault at the Federal Reserve until 1978 when they were returned to their homeland, accompanied by a very public delegation, where they can be viewed today. 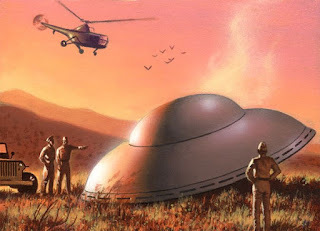 According to the book, the Americans smuggled them out of the country by pretending they were parts of a crashed UFO, although I can find no statement to support that in the published online literature; I might write to the Hungarian Embassy to find out. This is a strange thing to argue, not only because of its lack of documented evidence but because it took place in 1945, two years before Roswell, not to mention the disadvantages I've outlined above with this method. At the end of the chapter about his tenure at NUFOS the author has a bit of a tirade against the saucerers: (Some of these quotes are paraphrased) "I get tired of hearing the endless crowing about how 'the truth is out there'... these people are just emotionally, spiritually and financially invested in the UFO myth!" Also in other parts of the book he talks about the "party faithful" and "kooks". This provides an important revelation: Mirage Men is not an educational book. I make this same point in my review of Ben Goldacre's Bad Science, see: http://hpanwo.blogspot.co.uk/2009/03/bad-science-by-ben-goldacre_25.html . You cannot persuade people by insulting them. This penny has even dropped amongst the Skeptic inner circle; see this lecture by Phil Plait: http://www.youtube.com/watch?v=FrFRbGjUtJk Therefore I'd say that Mirage Men is aimed primarily at other UFO Skeptics for their mutual enjoyment. Pilkington also exhibits some misunderstanding of politics when it comes to the governments' relationship to UFO's. He says: "Where are all these ET technologies and who could possibly benefit from keeping them a secret? Madonna and Stephen Spielberg don't know in which case what possible benefit could they be to others if these people aren't using them?" He also says when discussing the Free Energy issue with Richard Doty: "I wasn't convinced there was a cover-up. Any Free Energy source would have to come with a bill because somebody has to pay for the infrastructure." Naivete City! I discuss this issue in its full details here: http://hpanwo-tv.blogspot.co.uk/2012/12/nuclear-fusion-power.html , but in summary I can only compare that to approaching the skipper of a sailing boat and asking him to fix an anemometer to his vessel attached to a meter so he can be charged for the wind he uses. The reasons to anticipate a cover-up of any potential Free Energy source are very obvious indeed. Pilkington and Lundberg eventually arrive at the International UFO Congress at Laughlin, Nevada. This is the biggest event of its kind in the world and one of the oldest still going today, see: http://ufocongress.com/ . As I said, this is the conference I would most like to attend; most of my friends have been at least once and I feel left out. Pilkington gives the place a rather garish overview, but that hasn't dampened my ardour at all. His description is reminiscent of a freak show and reminds me of Louis Theroux or Jon Ronson, with even a dash of Nick Broomfield. He wanders round the huge merchandise hall describing the shelves of books, DVD's and ancient VHS tapes; the blow-up aliens and cuddly greys and Airfix flying saucers. The point he makes is that there is a huge industry built around UFOria and some people make a lot of money off it. That's true in fact, and the author feels annoyed by this. He sees it as a massive con, a crooked mob of charlatans preying on weak-minded believers, or as one of Pilkington's mentors, Andy Roberts, said as a parody of the title of Nick Pope's book: "Open Minds- Empty Wallets". 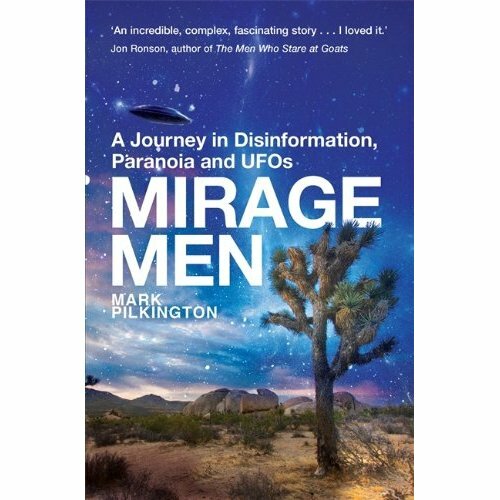 I have two criticisms of this attitude: The first is more specifically aimed at people who object to a UFO location, like Roswell, setting up tourist souvenir shops etc; Pilkington does describe Roswell in similar terms in another part of the book. In that case these people should go to Stratford-upon-Avon and tell the local folk there to get rid of all their Shakespeare stuff! Close the theatres! Close the hotels! Get rid of all those tacky Hamlet skull souvenirs! "They are heartless, lying charlatans sponging off the Shakespeare industry like that!" What is wrong with a town or city exploiting its history for its own prosperity? In the case of Congress it of course doesn't apply to a location, unless you count planet Earth as a location, but it remains a fact that there are people out there who think UFO's are real, want to go to a place and meet others with the same interest, and buy products related to their interest. I am one of them! If I was at Congress you can bet I'd buy something from that hall; I'd buy it in full knowledge and take full responsibility for the outcome. Nobody is stealing the money out of our pockets, Mark! We're grown men and women and we've decided what we want to spend our money on as mature adults; OK!? My second objection is down to me putting myself through an experience that few other saucerers do: I've attended a Skeptic conference; and you know what? It was exactly the same! It has a main arena for the lectures, side rooms for workshops and a massive stall loaded with merchandise, see: http://hpanwo.blogspot.co.uk/2010/10/tam-london-2010.html . If I wanted to I could write an equally eloquent and scathing indictment about the DVD's books and T-shirts etc laid out for all the wide-eyed Skeppers to take home, in exchange for hard cash that it. The Skeptic Movement is a huge multi-million dollar industry that matches the UFO one perfectly, even in scale nowadays. In fact the most recent TAM in Las Vegas, just a few miles from Laughlin, was extremely high-budget and attracted as many visitors as Congress averages, see this repertoire! : http://www.amazingmeeting.com/TAM2012/ There are also other events like QEDcon, see: http://qedcon.org/ Skepticism is big business! But I don't object to that at all, because if I did I'd be a hypocrite. The author might not have known about these Skeptic events, if he's reading this review then he does now. If he then doesn't retract his criticism of Congress then he will become a hypocrite! It has to be said that the author is provably correct about some of the things he talks about in Mirage Men. There has indeed been involvement of the intelligence agencies in the UFO community. Pilkington sites documents and memoes from the CIA and White House which proves the US Government wanted to observe and infiltrate UFO organizations. They succeeded in spectacular fashion in the 1980's with what has become known as the Bennewitz Affair. Paul Bennewitz was a New Mexican businessman who became obsessed to the point of madness by UFO's; his demise is a tragic story, made all the more poignant by the fact that he was under the thumb of an entire spy ring operating within the UFO milieu called "Aviary". The true extent of Aviary's activities was only made known for the first time with the explosive public confession at a UFO conference of none other than William Moore. For the generation of UFOlogists before my own Bill Moore was a household name. He had co-authored the book The Roswell Incident with Charles Berlitz; this book inspired Sidney Sheldon to write The Doomsday Conspiracy, the novel in which I first discovered the subject. One day Moore was approached by a group of dark-suited anonymous figures who met him at a restaurant. They claimed to be a splinter faction of the US Intelligence services who were lobbying the government for Disclosure. They promised to provide Moore with incontrovertible proof of a UFO presence on Earth in return for insider information on prominent UFOlogists; he also had to promote false stories in his own UFOlogical work. Moore accepted and became shill. It's not my intention to judge Moore's decision, just to comment on its effects. What I will suffice to say is that Moore was foolish to trust these men because, whatever the rights and wrongs involved, they never kept their side of the bargain and never produced any such proof at all. Moore's disinformation campaign centred around Paul Bennewitz. Poor Bennewitz was already in deep trouble because the National Security Agency had been sending him faked messages from ET craft. The instigator of this whole sordid business was a man called Richard Doty, and it's quite likely that Doty was one of the mysterious men Moore met in that restaurant. During the course of Mirage Men Pilkington and Lundberg got to know Richard Doty quite well and he gave them a lot of information which went into the story. Doty was an intelligence officer in the US Air Force, but was also a well-known UFOlogist. It is from him that the stories about Majestic 12 and the Dulce Base originate; today these are largely. but not completely, discredited. Of course it was Bennewitz who published them, but Doty was Bennewitz' handler and so it's fair to assume that these stories were at least approved by Doty. The Bennewitz Affair is interesting to study when we take into account what I heard at the recent BUFORA Conference about how MI5 agents showed up at the group's early meetings in the 1960's, see: http://hpanwo.blogspot.co.uk/2012/09/bufora-conference-2012.html . Another method the governments use to fool people is to produce false radar images. This is a tried and tested form of radar jamming that has been used before in warfare, like in the Cuban Missile Crisis. An engineer called Leon Davidson published a book in the 70's claiming that this was the source for the Washington Invasion of 1952. Pilkington also claims that this is what Milton Torres was ordered to intercept in 1957 over England. It's certainly true that radar jamming can produce non-existent returns that can be huge, solid and impossibly fast-moving, but this alone cannot explain all these incidents. With the Washington event there were also visual sightings of the objects, which Pilkington describes in his book. Also with Milton Torres he didn't just encounter this strange object on his radar, he was ordered to fire his missiles at it. Why? Was it some kind of test? If so, why was he never debriefed? There was also a second very similar incident in Iran in 1976 in which the pilot, a Lt. Jafari, got a visual sighting on the object as well; therefore this event, known as "the Tehran Invasion" cannot be explained away as a mere radar phantom. As far as both Davidson's work goes, as well as the Bennewitz Affair, it's true that intelligence organizations are spreading lies about UFO's' but if this is the case, what's its purpose. The author's basic model is that they are creating a false reality for something that doesn't exist, but, as I've said before, how can he be so sure? What if they're actually creating a false reality for something that does exist? It's a "muddle up instead of a cover-up" as Andrew Johnson would say. As far as I can see, if this is the case then it reinforces the theory that the government know about UFO's, rather than debunking it! Pilkington admits that some UFO stories might be true by describing his own close encounters, in which case we can anticipate on theoretical grounds that the government will take an interest in them because they have to be, as Nick Pope says, of defence significance. Protest to the contrary is ludicrous; if something that can travel effortlessly at sixty thousand knots, stop on a dime and penetrate our most secure nuclear facilities is not of defence significance than what on Earth could be!? If one of these objects ever comes to grief on the Earth's surface we can also anticipate that our Illuminati-occupied governments would want to salvage the debris to study it; and there are myriad reasons why they would do so secretly. Apart from the Free Energy issue, there are also psychological think tanks who have advised the governments that there are profound cultural problems associated with the revelation that We Are Not Alone, see: http://hpanwo.blogspot.co.uk/2009/10/probe-autumn-2009-part-2.html . The author describes, correctly, how government intelligence agencies have used superstitions as tools of psychological warfare against target populations. In 1948 an American intelligence officer, Maj. Gen. Edward Lansdale, led a campaign against Communist guerrillas in the Philippines. He exploited a local belief in a vampire-like creature called an Aswang by killing prisoners, hanging them up to drain the blood out of their bodies and puncturing their neck to make it look like they had fang marks on them. This terrified the guerrillas when he left the bodies to be found by them, so demoralizing them into defeat. Also I've spoken before about Dr David Clarke's study of the "Angel of Mons", see: http://hpanwo-tv.blogspot.com/2010/08/weird-10.html I don't think extrapolating this into the modern world, as Smith does in the novel as well as Pilkington does in his book, can be used as a template to explain the entire UFO phenomenon. The truth behind UFO's is far more complicated than that. The book concentrates on UFO events in the United States, but of course UFO's are a global phenomenon and have been reported in virtually every country in the world. The most interesting reports currently are coming out of Russia and other nations of the former Soviet Union. Here during the Cold War the political situation was very different with no (overtly) free press and a much more developed censorship infrastructure, and despite the misgivings of James Oberg, see: http://www.jamesoberg.com/ufo.html , I think there's a massive story to be told coming out of that part of the world, see: http://hpanwo.blogspot.co.uk/2007/12/russian-roswell.html UFO's are also far older than the era Pilkington addresses in his book, going right back through history. The oldest report I can find is probably the narrator in the Book of Ezekiel in the Bible. They appear in mediaeval paintings and even in cave art tens of thousands of years old. The world's first UFO photograph was taken in 1870, not long after the invention of the camera. As cheap portable cameras emerged in the early 20th Century more followed; the world's first UFO photograph was definitely not the one by William Rhoads taken on July the 7th 1947, as is claimed by Pilkington in the book. At one point in the book the author questions the ET explanation for the famous abduction case of Antonio Villas Boas in which he suffered both a medical examination and sexual abuse at the hands of some very strange creatures. What the author might not be aware of is that there is a report from South Africa dating from just two years later, 1959, in which the witness encountered the very same creatures while hiking in the mountains of Mozambique, see: http://hpanwo.blogspot.co.uk/2009/08/alien-abduction-similarities.html It makes it far less likely that Boas was simply suffering a hallucination caused by a CIA helicopter spraying drugs on him. 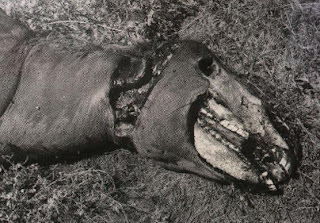 Pilkington does briefly discuss one of the most common and widespread, and also the most disturbing and frightening aspects of the UFO phenomenon: animal mutilation. In the book he draws very much on the work of Gabe Valdez, via Richard Doty, an early researcher into the phenomenon. 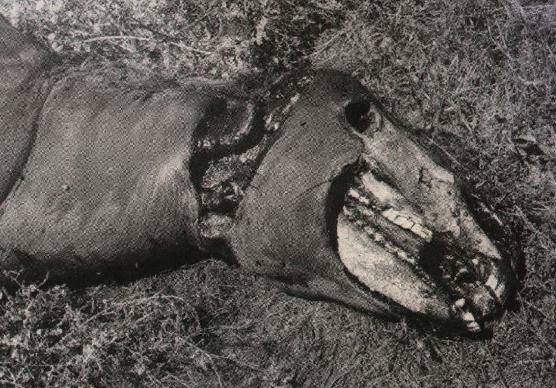 Valdez reported seeing surgical gloves and gas masks lying in the field around the corpses and also watching the animals being winched aboard helicopters via chains; and so he believed it was a secret government experiment. This theory is full of massive holes, as I discuss here in Part 12: http://hpanwo-tv.blogspot.co.uk/2012/08/disclosure-city-people.html . Both the theoretical logic and evidence doesn't support the notion of government involvement, at least direct government involvement. This has been shown time and time again by everybody from Linda Moulton Howe to Richard D Hall. Ironically, Pilkington does ask the necessary questions for discounting Valdez' theory, but then fails to make the required empirical leap and admit that humans simply ain't doin' it! In Mirage Men Mark Pilkington describes UFOlogy as being surrounded by a wall of noise, as far as he can see we are all locked in an MK Ultra "magic room" in which confusing and contradictory messages are hurled at us; fantasy becomes reality and vice versa. However, out of this searing, bubbling maelstrom the author has wrestled a 48 pound narrative, and he stands proudly over his catch and declares it to be the rational and scientific truth. On page 202 of the book he talks very harshly and cynically about "cognitive dissonance"; this is inability to consider rational alternatives to some belief system we have; he accuses those with UFOria of being victims of cognitive dissonance. But is this fair? Perhaps in some cases, but I think we "UFOrians" and practitioners of "saucery" are far more emotionally and mentally sound and mature than Pilkington gives us credit. Also I smell the stench of hypocrisy again, and also perhaps the author's own cognitive dissonance. I think Skeppers are at least equally vulnerable to cognitive dissonance as we "woo's". It's actually quite interesting and amusing to see how eagerly and unquestioningly they embrace even the most outlandish and nonsensical explanation for UFO events... so long as it's not ET! The Rendlesham Forest incident in 1980, which barely gets a word in the book, has been explained as a lighthouse, a lorry load of burning manure (being driven by a parachute test dummy no doubt), a time-and-motion study and, my own personal favourite, a gang of joy-riders messing about in a stolen ice cream van! It doesn't matter how grotesque and absurd these explanations become, they will be swallowed hook, line and sinker by whole congregations of wailing, chanting Skeptics virtually as a reflex. I did enjoy reading Mirage Men. I thank the author for it and I will recommend it to others; but it really falls way short of a true portrait of the fascinating, multi-faceted and true phenomenon of the Unidentified Flying Object. The book omits many of what I consider to be the most significant cases: Berwyn Mountains, Varginha, Dr Jonathan Reed and the general contactee and abductee situation, which is a massive and vital subheading on its own. It shows a huge lack of understanding of the theoretical and evidential relationship between UFO's and governmental authorities. By all means, read Mirage Men by Mark Pilkington, but never forget that there is another side to the story. If you are new to the UFO subject you will need to study other titles to get the full picture. I'd like to suggest an alternative hypothesis: This whole thing is an elaborate double-bluff. Many of these UFO's are actually artefacts of an extraterrestrial or extradimensional civilization. The Illuminati-occupied governments of this world know about it and are keeping the population in the dark about it for various reasons. The intelligence scams and disinformation Pilkington describes in this book are real, but their purpose is to filter and control the flow of information between the authorities keeping this secret and the ordinary people within the population who are looking for it. I can't prove my hypothesis beyond any doubt, but neither can Mark Pilkington prove his. Which one makes more sense? You decide!